The N64 Cart slot and Player 1 and 2 ports were relocated from the N64 motherboard to be placed on the top (or the side if you are not in the vertical alignment seen here) of the Wii, hidden under the flaps on the console that originally housed the Gamecube controller ports and memory cards to keep the stock look of the Wii Console. The N64 controller ports were arranged in a diagonal alignment to keep them centered in the previous footprint from the Gamecube memory card slots. On the back of the unit, the 2 USB ports were reused for custom N64 controller ports for the additional Player 3 and 4 slots. 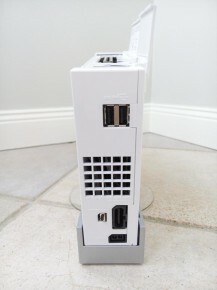 The Wii’s A/V Multi-out port was replaced as well with the A/V port that was used on the Nintendo 64 and previous Nintendo Consoles. 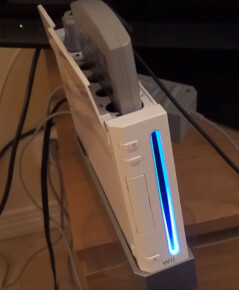 The CD drive slot illumination LED was kept for keeping the stock Wii look, and a switch was added to turn the glowing light on and off. 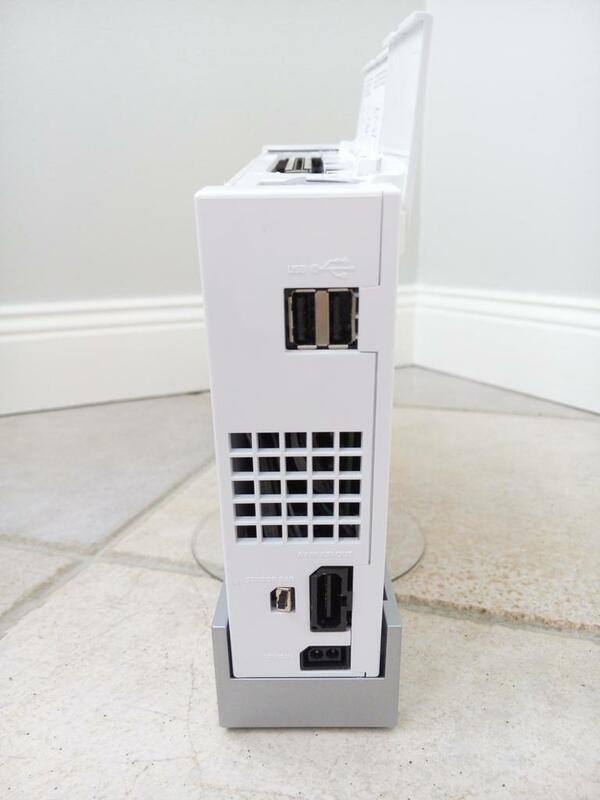 A powerboard was created, much like how it is done on N64 portables, to use the Wii power plug instead of the bulky N64 power brick. Lots to see inside the case! 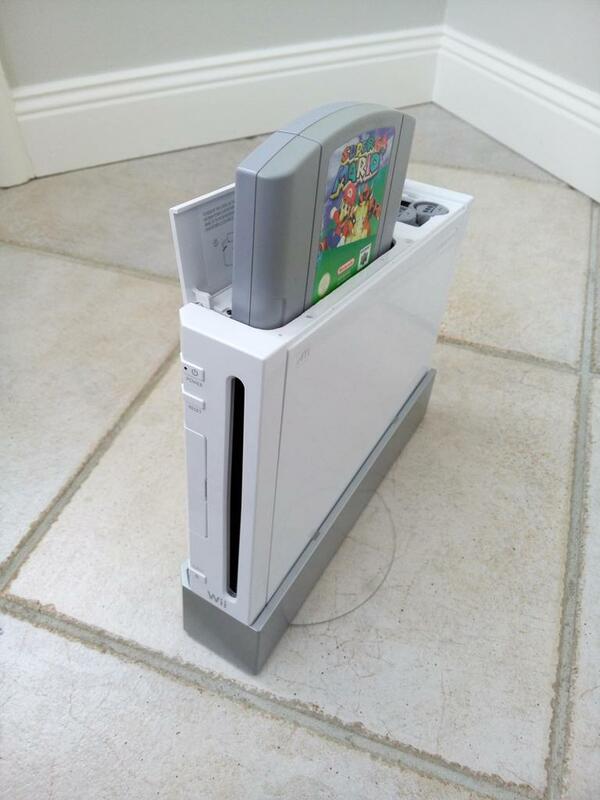 The Wii case was large enough to keep the N64 board untrimmed, just needing to remove the casing from the jumper/expansion pak. New heatsinks were added for heat dispersal, helping to keep the project fanless. 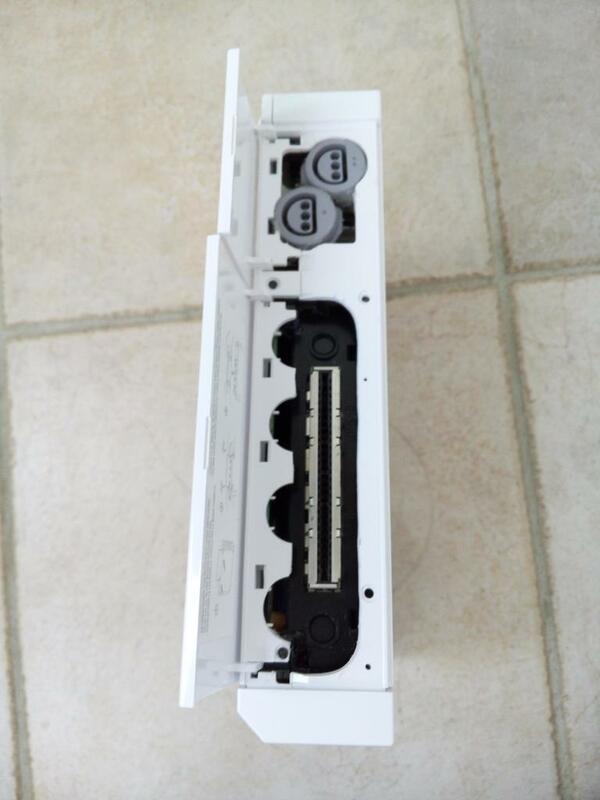 A Latching momentary pushbutton powerswitch was also added to be able to use the Wii’s soft on/off Power Button. 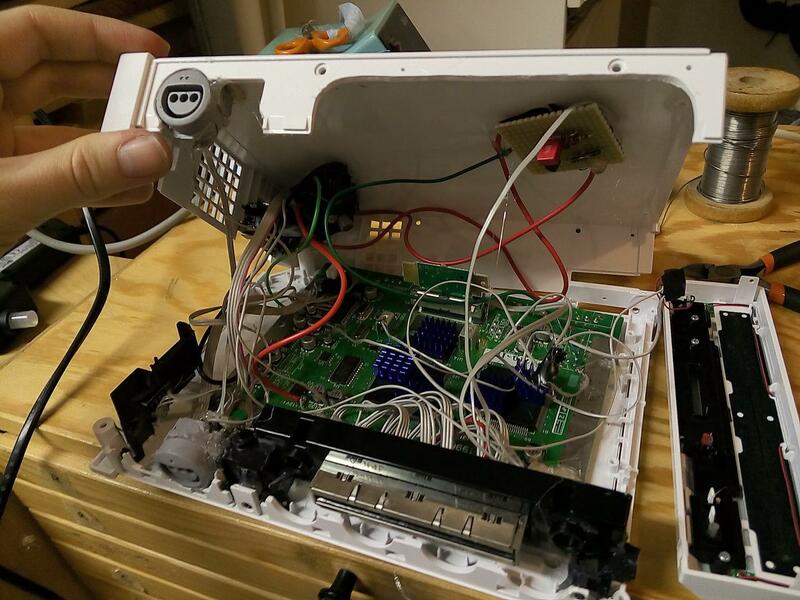 For more on WatsuG’s N64 inside a Wii, you can visit his Finished Projects thread on Modretro. 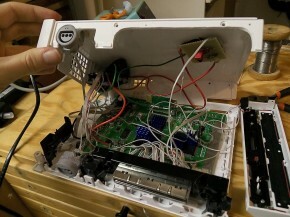 More of WatsuG’s work can be seen there as well, and for those wondering; Yes, he did put the Wii board inside a Nintendo 64 case.